Last month I spent a day riding my bike around SF, enjoying the gorgeous weather. I brought along my dad’s old Canon SLR. The camera’s metering system runs on a battery that’s no longer made, so I either have to use a separate light meter (I use an app on my phone) or guesstimate and hope for the best (which I do more often than not). 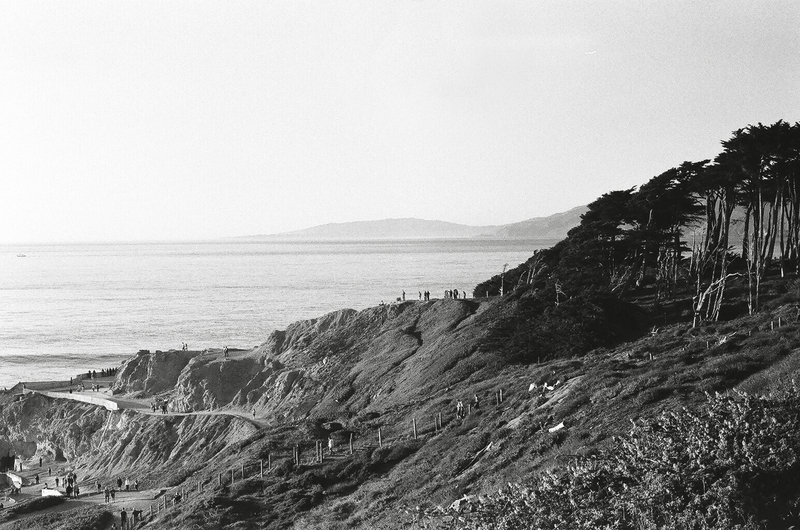 I used 400 speed film, which was probably too much for the full sun that shone brightly that day. Oh, the limitations of film. Luckily, unlike digital, it’s more forgiving. When looking at my black and white film prints, I sometimes pretend that the photo was taken a long time ago, and try to imagine what it would be like if I were around in that day and age. 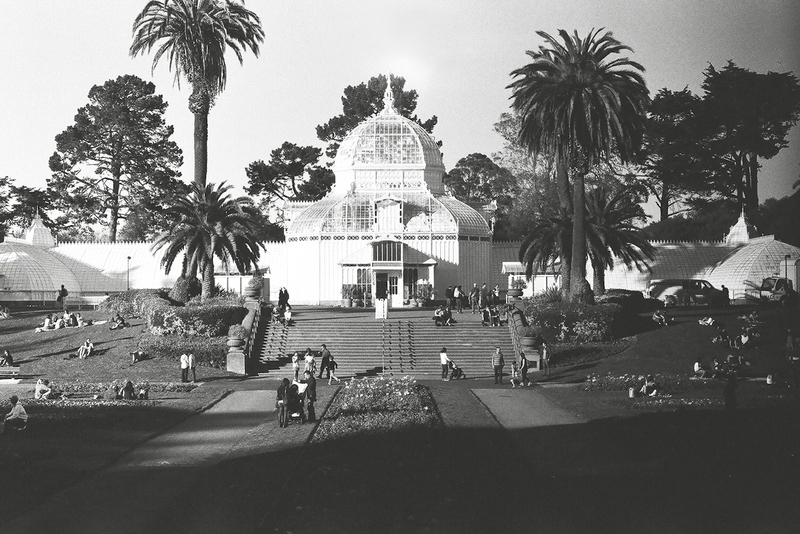 Here’s the Conservatory of Flowers, originally built in the late 1800’s. When I rode by it again that night, it was lit up green. I ended my bike tour at the Sutro Baths. I sipped on a cappuccino from the new cafe and enjoyed the view before trekking down to explore the ruins. This was my view. Not bad. It was as crowded as I’d ever seen that place. Everyone lingered for a beautiful sunset. I used those moments to breathe deeply and savor this incredible life I’m lucky enough to find myself experiencing. 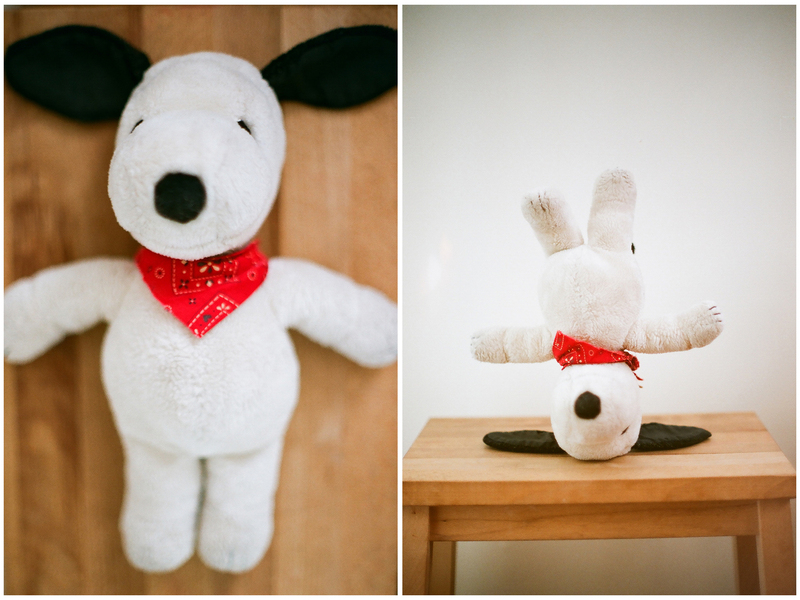 As a kid, I had a few point-and-shoot film cameras and would take pictures of my stuffed animal collection. I’d pose them like they were waiting for the bus, sitting in a row together on a bench. I’d always take pictures of my friends when we went out to the amusement park in our town. It was always exciting getting the prints back from the local drug store and going through them. There was a sense of dread thinking that there would be some embarrassing shot of me that my friend had taken. And sometimes I’d go through the roll and there would be some silly photo of me. But there would be equally silly photos of my friends. And it was all in good fun. I never learned how to use a film SLR camera until my dad leant me his a few years ago. Despite him owning that camera my entire life, I never asked how to use it. As a kid, I’d be fascinated by it. All these leather pouches to hold lenses, film, the camera. It was heavy and cumbersome. It was mysterious. It was dorky because, hey, it was my dad’s hobby. And yet it was also cool. 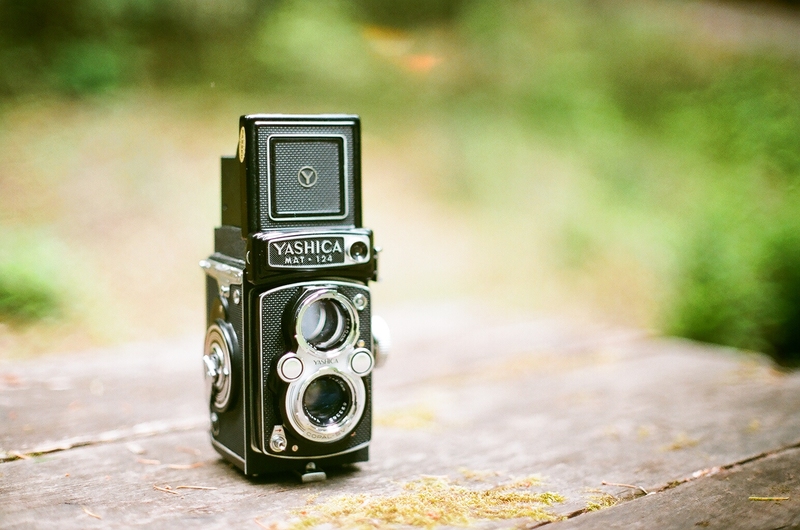 And with his SLR, he also gave me his Yashica TLR that he received from a friend’s father decades ago. I had never seen it before that moment. I felt like it was my birthday that day. One of my weaknesses is that I get overwhelmed by the possibility of failing, so it prevents me from doing stuff. I don’t want to mess up when shooting film. The cost of a roll of film plus prints and then scans (my scanner broke) really adds up, and I don’t want to waste a shot, so it takes me forever to go through a roll. I’m trying to get better at this. 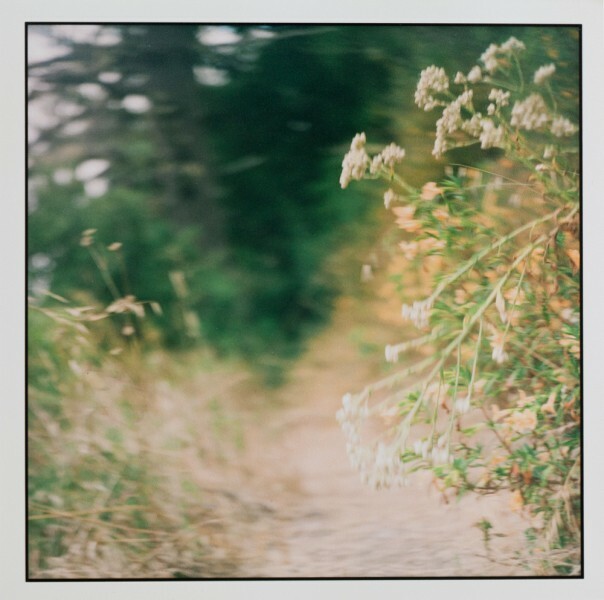 There’s a general agreement among many photographers that there’s maybe one or two good shots per roll of film. While in this batch I wouldn’t say that any of them took my breath away, I’m happy with how a few of them came out. Many of them simply did not come out at all. The Canon temporarily broke (stuck mirror) and I accidentally exposed the roll and ruined a bunch of shots. And then I had problems winding the film on my TLR and ended up with some weird double exposures going on in some of the frames, but not in a cool/artsy looking way. And almost all the shots taken with the Canon had some weird flare issue going on in one particular spot. I don’t know what caused this (any guesses?). For me, taking a break from snap-happy digital shooting and switching to these old-school film cameras help ground me. It’s meditative. Each shot is intentional. There’s an element of trust because you don’t know how it’s going to look until you get that print back in your hand. You just have to believe that it’s great. And at that moment it is. So here are a few of my photos. You hold the camera at waist or chest level and look down into the viewfinder screen, which shows you what the lens on top sees. To compose the shot left or right, you have to move in the reverse direction (move left if you want to compose more to the right). You also have to adjust for the bottom lens that will take the picture, which is below what you see. It’s a little tricky. This is Bandit Snoopy. He’s a favorite in our household. He likes chocolate chip cookies and jelly doughnuts. 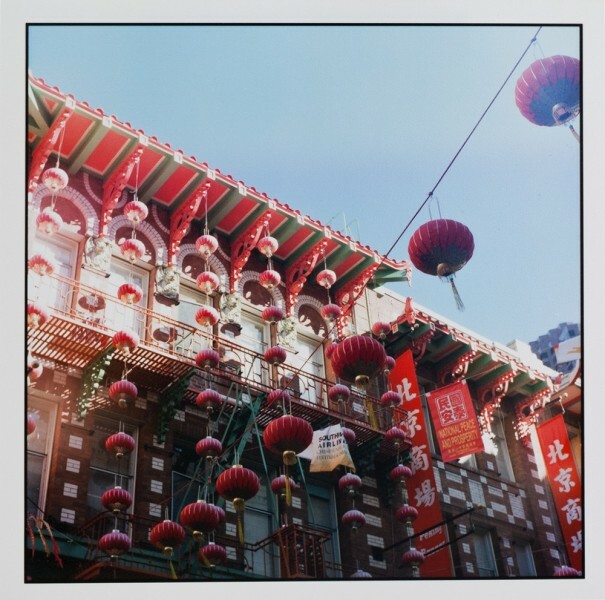 Chinatown is vibrant and colorful. This was taken last year, not sure when exactly (see? The film had been in my camera for a while!). And on the other side of the spectrum, I went on a hike near Woodside, CA earlier this month, which was peacefully quiet. So there you have my most recent (and not so recent) adventures in film. I have so much to learn, but it’s a process I really enjoy. I inherited this beauty last weekend, and it’s not even my birthday. My uncle was cleaning out his house and came upon his old Pentax SLR. He offered it to me, his “favorite niece, Denise.” He says this often. “I’m your only niece,” I often retort back. This time was no exception. Along with the camera and the 50mm, he gave me a 28mm, and an 85-205 zoom. And a tripod. Sweet! A complete kit! I didn’t realize he was a camera buff back in the day, taking black and white photos. Perhaps one day he’ll show me his collection of photographs. Now to pick up some film!